This was taken in my kitchen in the Dalton Tower. 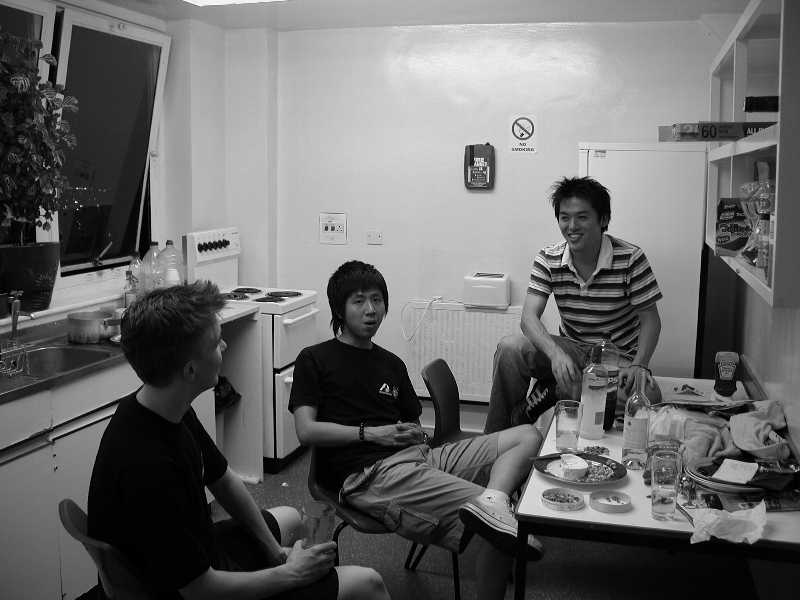 Grigory, Yusuke and Takeki are eating cheese and drinking wine that I brought back from my trip to France. "damn, it's lukewarm, and it's too sweet".